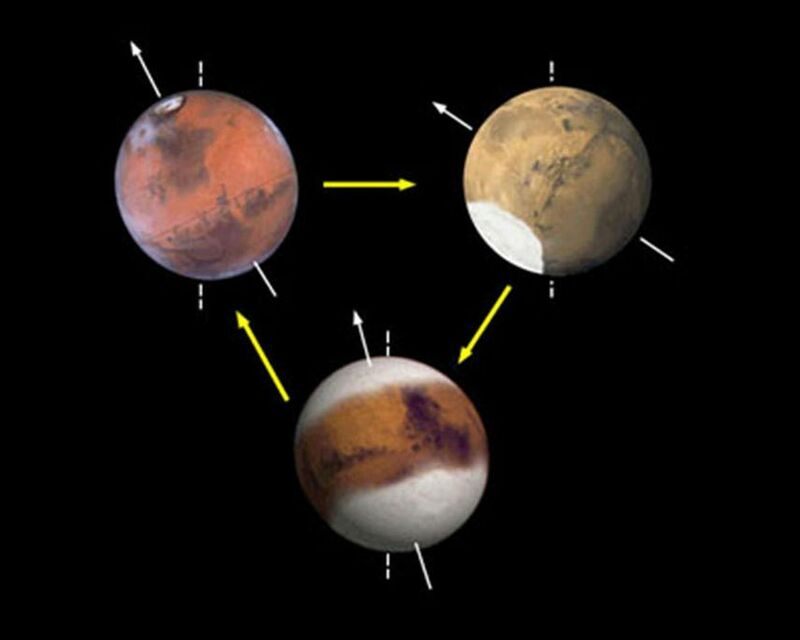 Modern-day Mars experiences cyclical changes in climate and, consequently, ice distribution. 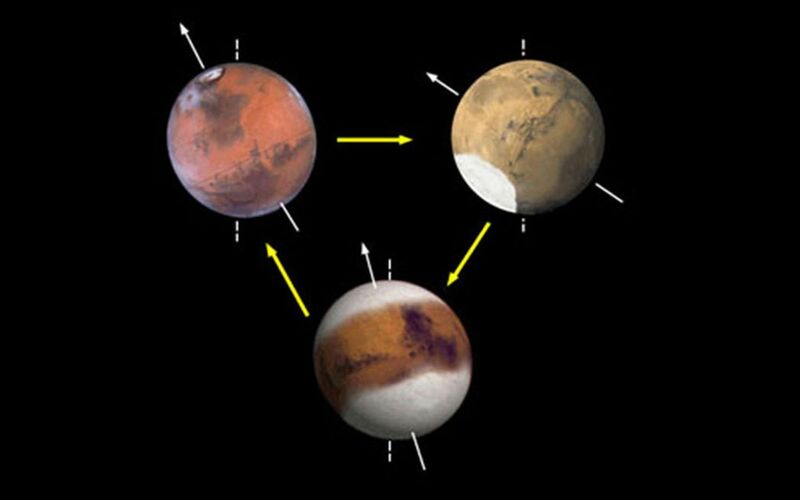 Unlike Earth, the obliquity (or tilt) of Mars changes substantially on timescales of hundreds of thousands to millions of years. 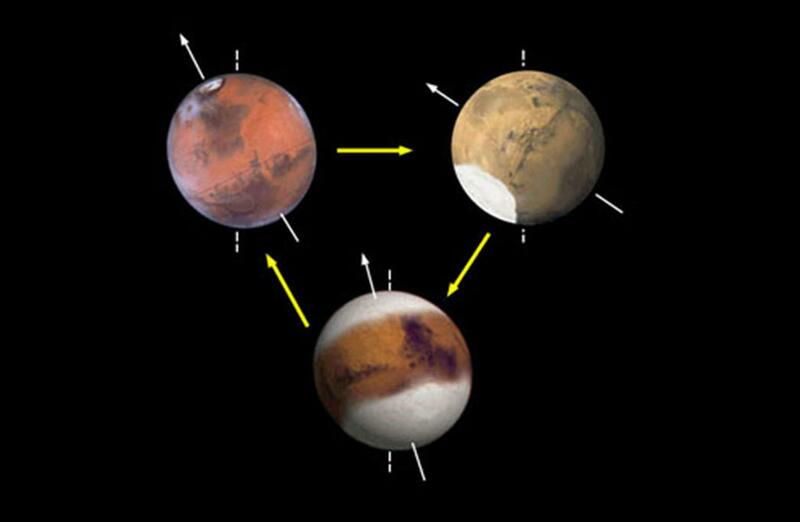 At present day obliquity of about 25-degree tilt on Mars' rotational axis, ice is present in relatively modest quantities at the north and south poles (top left). 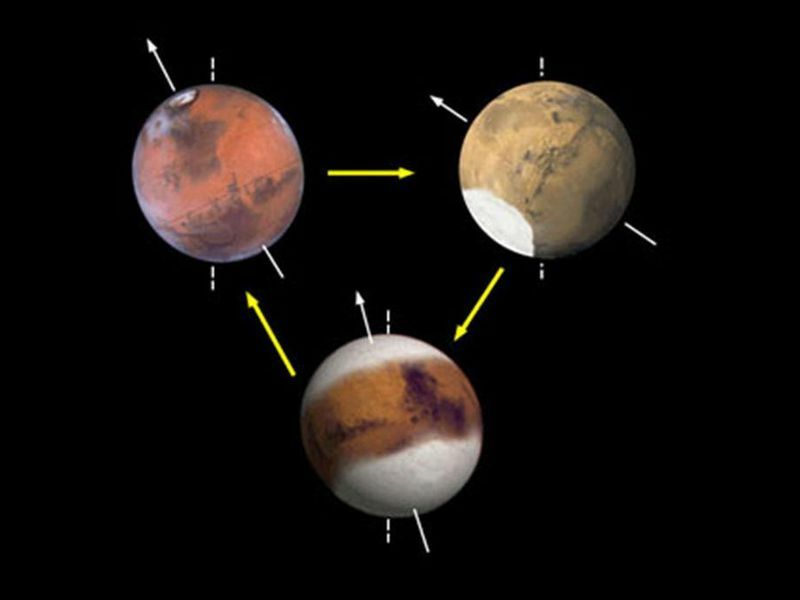 This schematic shows that ice builds up near the equator at high obliquities (top right) and the poles grow larger at very low obliquities (bottom) (References: Laskar et al., 2002; Head ., 2003).